We first caught a whiff of Microsoft's disc-less Xbox One plans last November. Now the rumour has gained potency thanks to Windows Central sources tipping the 'Xbox One S All-Digital Edition' for release in May this year. 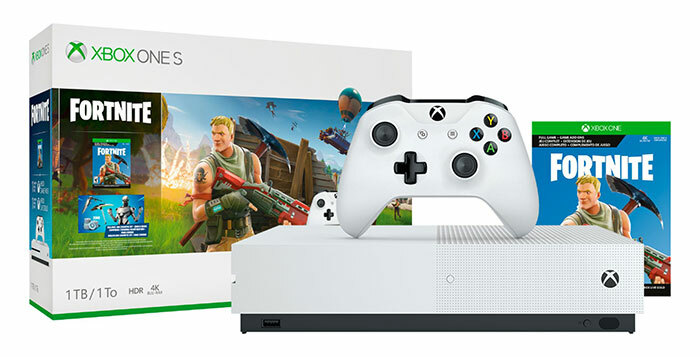 The Windows Central insider sources say that disc-less 'Xbox One S All-Digital Edition' consoles will be up for pre-order in mid April with general availability set for May. The information at hand suggests that this will be a "near-global simultaneous launch for almost all existing Xbox markets". 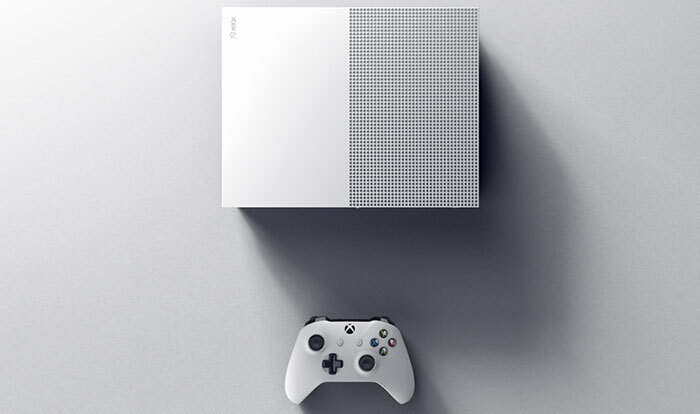 A disc-less Xbox One S will mark a milestone for Microsoft, moving away from physical discs and steer users to all-digital game licenses. Alongside this all-digital edition console release Microsoft will continue to push its Xbox Game Pass digital subscription and the Project xCloud streaming service may well dovetail with this hardware introduction. The latest insider leaks don't include any pricing information but back last year we heard that removing the Blu-ray drive from an Xbox One S could mean Microsoft would be able to reduce the console price by US$100 (from $299 to $199 in the US, and we might see console bundles at about £150 in the UK). Some other rumours about future Xbox One gear come via the above sources. In particular it is said that there will be a special Fortnite Edition console coming soon. However, thus raises more questions than it answers as we don't know if it will be a special design console or a simple bundle (updated vs the one we have seen already), or whether it will become manifest as a regular S, an X, or a disc-less version of the Xbox One. Would any HEXUS readers be attracted to the rumoured Xbox One S All-Digital Edition at, say, £125 or so? So, it is not disc-less, as it still have hard disk, just not optical disc (very expensive one though). I watch BluRay rarely, but it is my only BR player.And I would say, the best one. But, I assume 80% of the users do not use it, so why pay for something you do not use? Isn't a better idea to launch a disc-less One-X at the price of the S? If they are driving people to digital, surely that's a better way? maybe they have excess one s board inventory, maybe they make less money on the one x. Who knows, I don't. As someone who loves browsing used games stores and finding a hidden gem this is a sad day. Sure you can search the MS store / PSN / steam etc. but it just isn't quite the same. Also you can forget ever getting anything back for those games you've completed and will probably never play again.